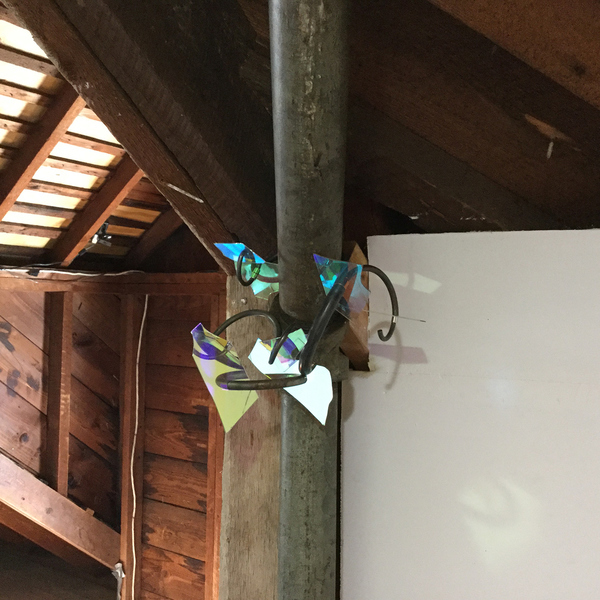 For their exhibition at North Willows, the Snorebarn Collective presents "Attitude of Openness" a series of site-specific works created for the space. 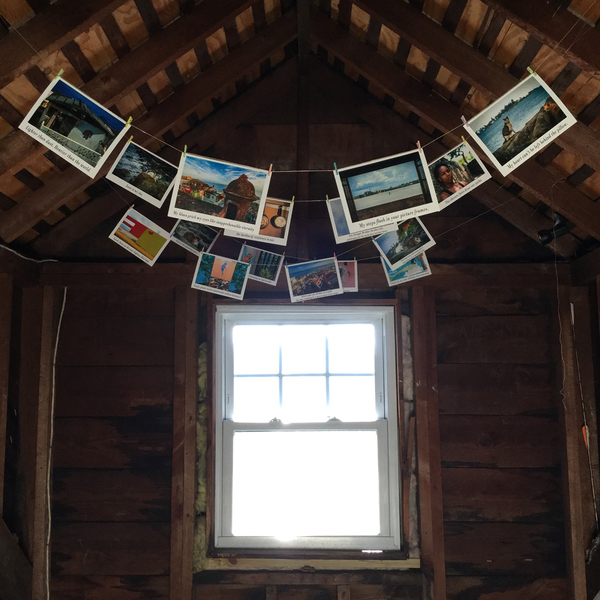 The Snorebarn Collective is conceived as a year-round critique and support system initiated by five international emerging artists sharing a cross-disciplinary approach. 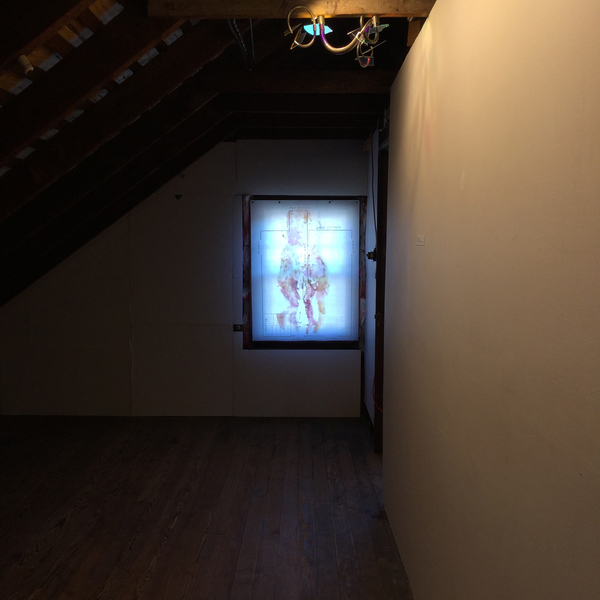 The Snorebarn Collective initiated in the summer of 2012 in Berlin, Germany as four artists Christian Gerstheimer, Jamie Hamilton, Hani Moustafa and Mikkel Nieman when they roomed together as graduate students while participating in the Transart MFA program. Their connection stayed strong after graduation, and they continues as they meet regularly. Gwen Charles joined as the fifth group member in Fall 2014. Aurora Del Rio joined at the sixth member in fall of 2016. 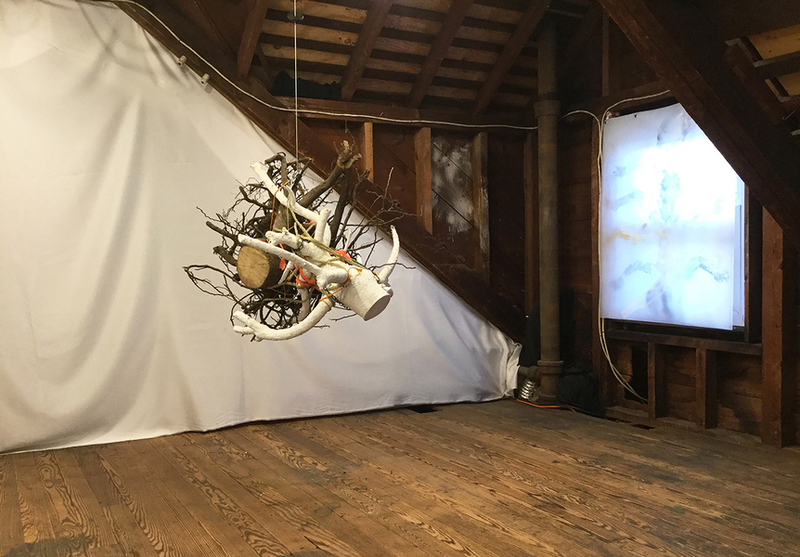 Once a month the Collective members meet virtually through Skype and email, bringing their own sensibilities, practice and experience into a discussion of their current process and to collectively delve into projected research questions. Members of the collective are: Christian Gerstheimer (Texas, USA) who creates work about the struggle of immigrants and immigration laws through interventions; Jamie Hamilton (LA, USA) who creates metal magnet “graffiti” sculptural interventions and wire-walks in public spaces; Hani Moustafa (Cairo, Egypt) who creates short films speaking with/for the proletariat; Mikkel Niemann (Copenhagen,Denmark) creates actions related to daily play & injur; Aurora Del Rio (Berlin, Germany and Cagliari, Italy) creates paintings and videos related to the transgendered body; and Gwen Charles (New York, USA) performance and intervention work invites the public into conversation. Aurora Del Rio’s collage map installation will speak to the realm of the symbolic: it is always in a dialogue, alluding to/representing something else. A map pretends to resemble something completely different, construing a sort of access key to that something. It is not necessarily relevant whether the reality represented by a map exists or not, since the map can perfectly symbolize a fictive or a real space. What can be defined as real? An installation of hanging photographs by Hani Moustafa and poetry written by Hussein Mamdouh will tell the story of a flower girl. The photographs will be moved by the wind; audience will be free to touch the photographs or move them to their desired speed. They can also approach the installation from any part of the exhibition. 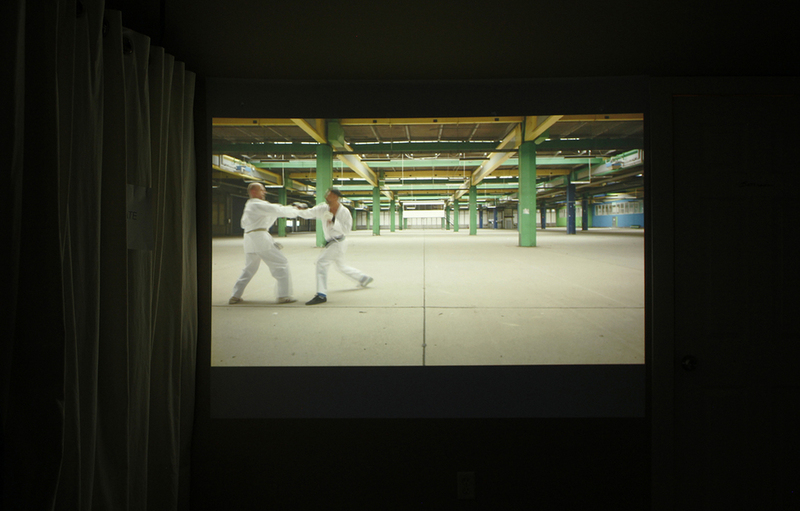 Christian Gerstheimer's "The Conflict: Stump vs. Iceberg (NJ version), 2017" is intended to reference - first and foremost- the many forms of violence and social injustice found worldwide. Second, the stump reminds us of the millions of immigrants who uproot their lives for an unsure future. The random movements of this artwork correspond to the unpredictability of daily occurrences of conﬂict of every variety and the randomness of where such events take place. Gerstheimer often presents his work as public interventions because site, context and social engagement are important factors in his work. Participatory elements will therefore be part of the opening evening activities. In "Crystal Light, 2017' by Gwen Charles, a crystal glass bowl with blaze and diamond cuts, filled with vintage, stained glass shards will be sitting in the middle of the room on a uneven turntable, dispersing colored light streams. Charles creates a homegrown, disco party made with items from grandma’s pantry, recalling a time gone by, with the wonky, spinning turntable, filling the room with crystal light. The bowl hits the needle on the record each time it spins, creating a repeated loop of sound recalling the repetitive stories grandma tells. 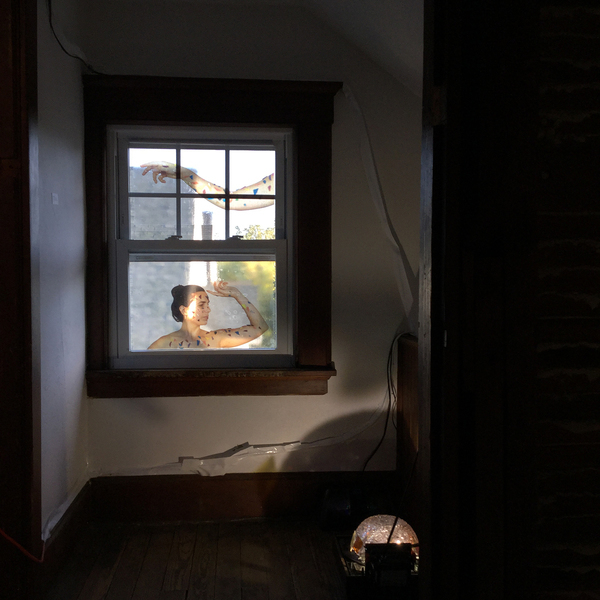 Charles's works often deals with the moving body in space interacting with everyday objects. Mikkel Newman’s video performance deals with the unintentional process of degeneration of the human body and the intentional contrary maintenance of it by exercising. Though the karate fights in the video is non-contact performances there is an ever present threat of contact that can result in disastrous consequences. In this way the video is also exploring the relationship between aestheticification and acceptability of violence. 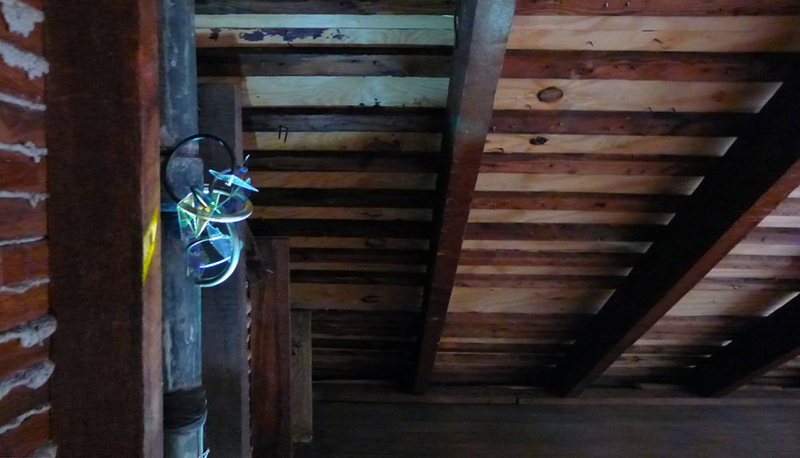 Jamie Hamilton will display a small suite of recent sculptural work entitled Active Measures. These sculptures are made from strong rare earth magnets, steel, and dichroic glass. The works arise from Hamilton’s curiosity about how automation and telematics are simultaneously shaping and shaped by human desire and identity.The works are susceptible to implosion but their precarity is also responsible for the forms which result as forces act upon the individual components orienting the metal arcs along the curves and eddies of the magnets’ fields.